How's everyone doing? 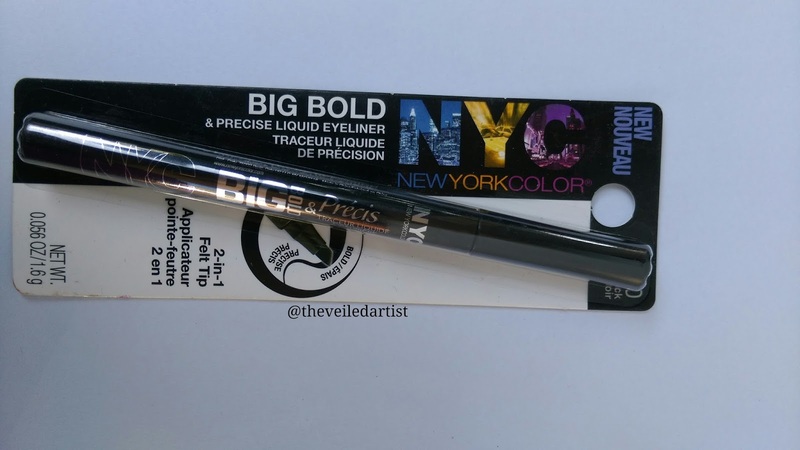 Today's post is going to be my review on this NYC Big Bold & Precise Felt Tip Liner. 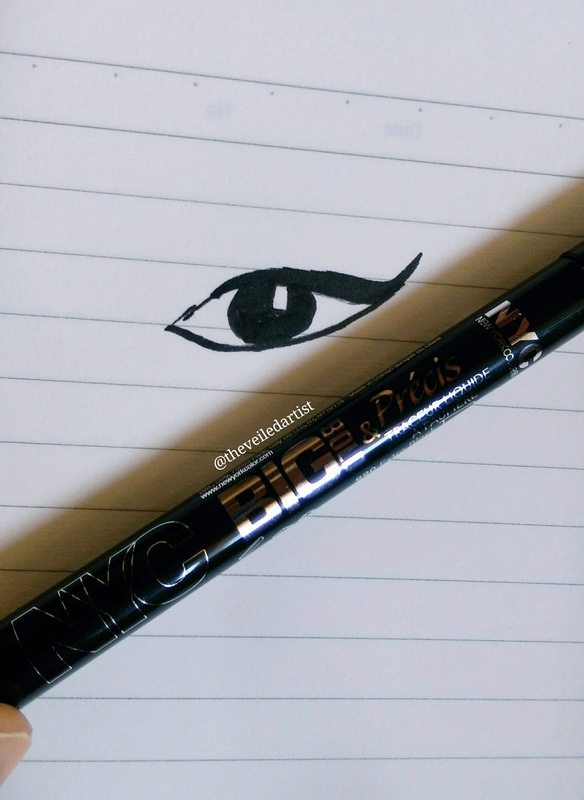 Intensify your eyes with this 2-in-1 felt tip liner! Create a precise or bold line in one single stroke. 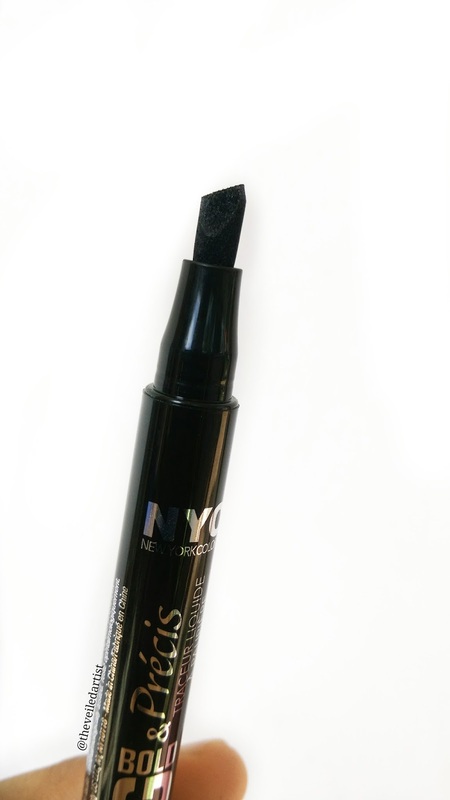 Long wearing formula lasts up to 10 hours! 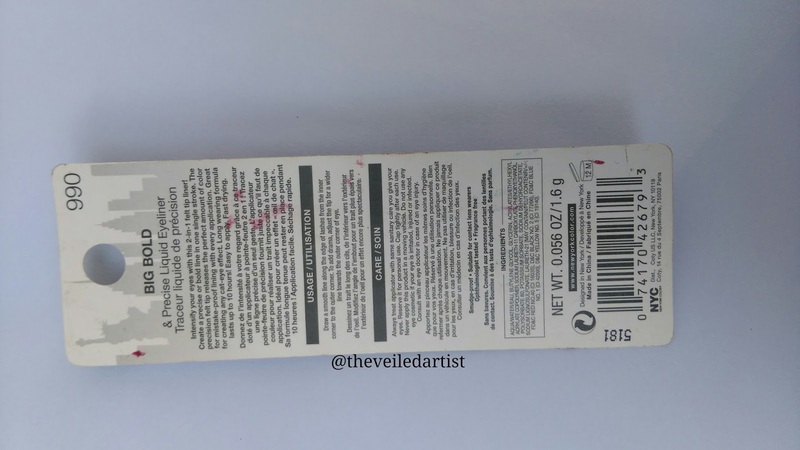 This costs $3.99(600LKR) for 1.6g of product. The packaging.. sigh.. is so unnecessary and so hard to work with. It almost has a highlighter pen shaped tip. When you look at it, you would think oh! I can see how that would help me get a sharp wing but nope! It doesn't. Can you tell I'm sick of it? I purchased this liner after hearing Beauty Guru Desi Perkins rave about it in her winged liner video. 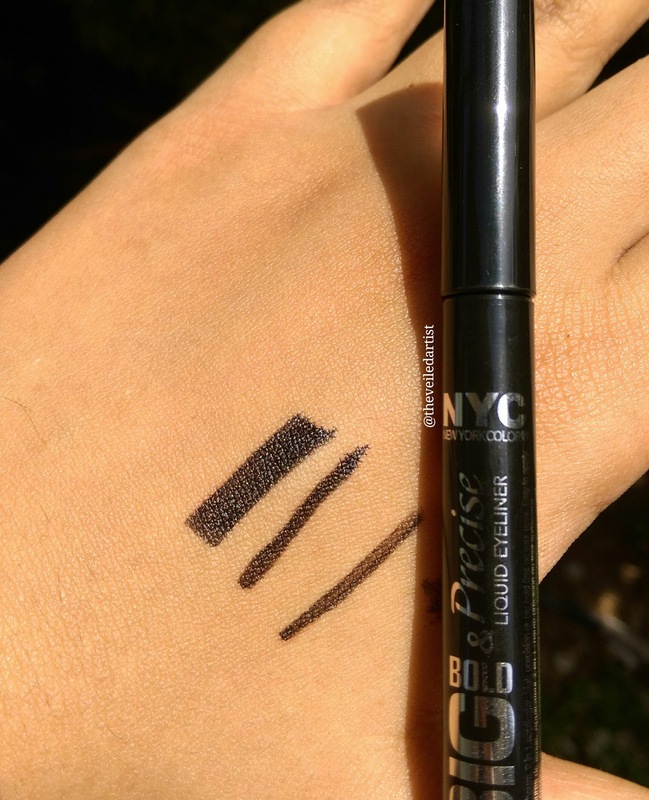 And after trying it out and completely despising it, I went back and watched her video I was shocked to see that it was a liquid liner from NYC and not this felt tip liner. Ah.. my mistake for not making sure I've added the right liner to my cart. Anyways, let me get on to the actual review. The formula of the liner is great. It's not waterproof but it's thin and very black. Which is always a good thing. And it has a slight fruity scent which I don't mind. Plus! It's in pen form! Which is something I've always loved. But then there's the tip right. Oh God you guys, I tried all the sides, but it is just IMPOSSIBLE to get a nice thin sharp wing with this. I guess I just have to use this to cover up my false lash band after this haha or get rid of it. Since it's in pen form, I can't even use the eyeliner formula with another brush. I wouldn't recommend this at all guys!! There are better liners out there for this price! 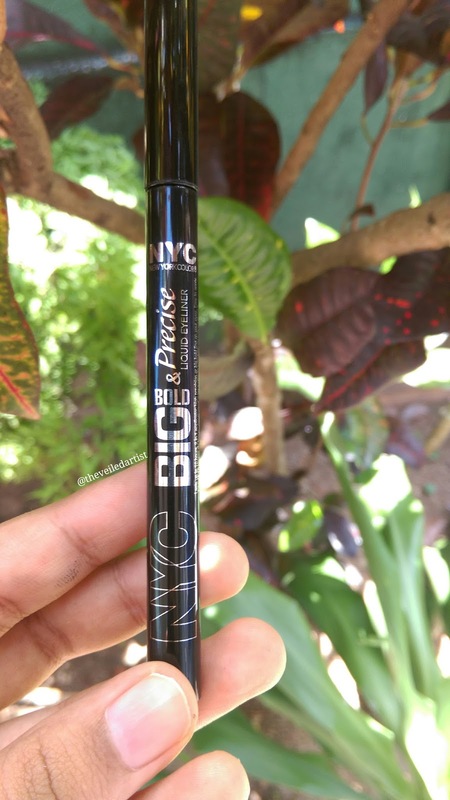 The essence cosmetics liquid ink waterproof liner is amazing. Besides, winged liner is hard as it is, we need an eyeliner that's going to make the process easier and not harder haha.